Yesterday I shared a resource on thesmARTteacher. They have challenges each month and if you win, you receive a lovely gift of money to Blick or Crystal Art. This month the challenge was to create a worksheet or handout and submit it. I created the Quick Draw Challenge a while ago, but hadn't uploaded it yet so I decided to do it! 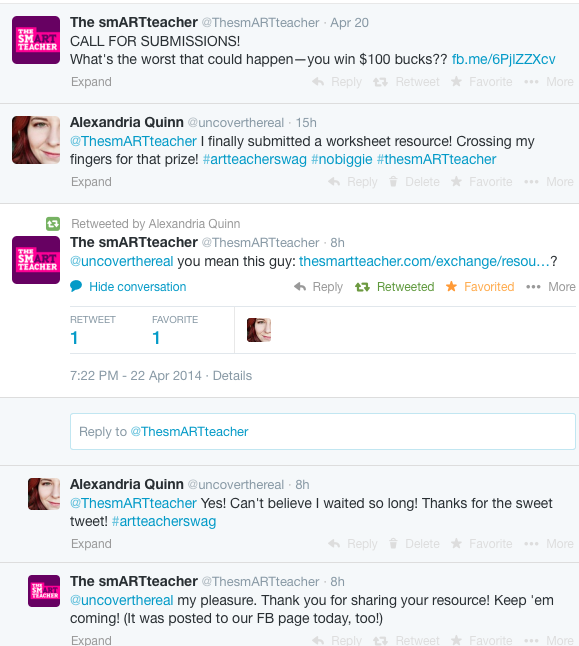 Then I noticed that thesmARTteacher had a twitter account so I followed, tweeted them and they responded! Not only did they respond they actually tweeted my resource AND shared it on Facebook! Talk about a total geek out moment! Can you see me getting all giddy and smilely through the computer screen because I really did get excited! Here is a screen shot of the evidence! If you aren't on thesmARTteacher please check it out! They have great lesson resources and discussion boards as well! Did I mention that I also bought the shirt I posted about a few days ago? I can't wait for it to get here! Wow! 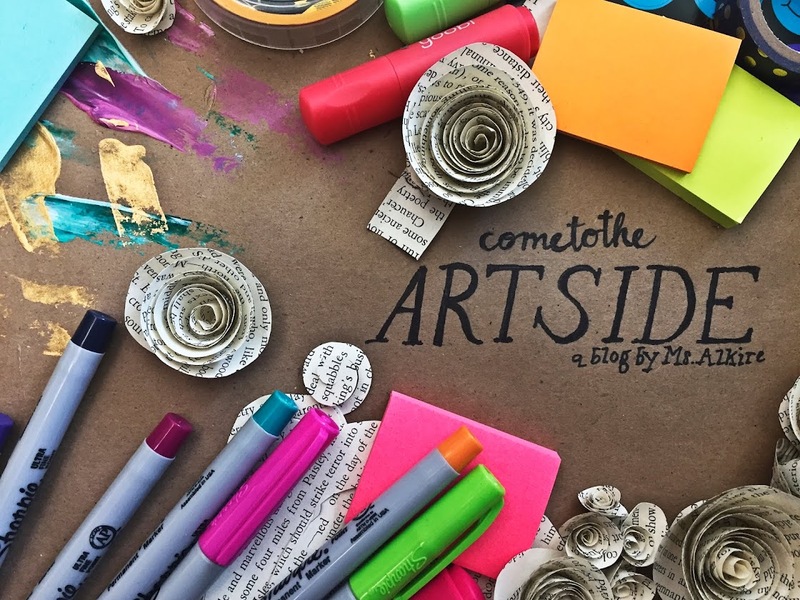 I love how social media makes the art education world so accessible! Crossing my fingers that you win! Yes social media has completely changed the landscape of the learning environment for teachers and students alike! Thanks for the support!